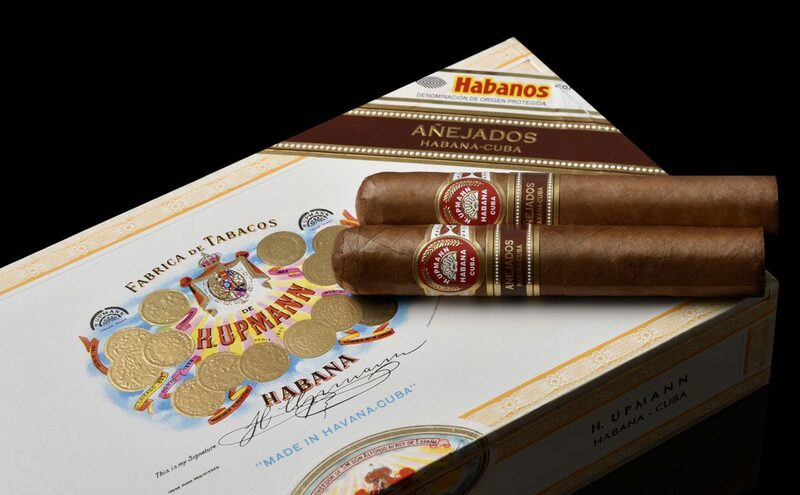 Habanos, S.A. , presents to the market the H. Upmann Robustos Añejados. These Habanos already rolled, aged in Cuba for 5 years or more, in perfect conditions of preservation, which has enabled them to gain shades and complexity without losing their initial organoleptic characteristics. 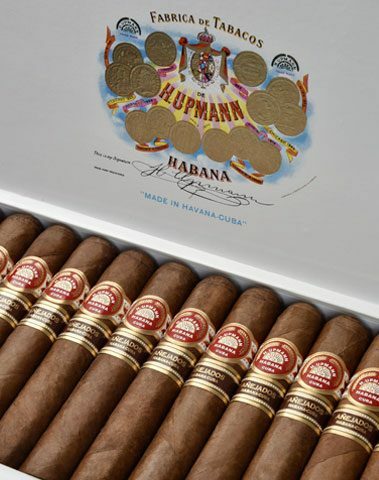 The launching of H. Upmann Robustos Añejados (50 ring gauge x 124 mm length) provides continuity to the concept introduced earlier 2015 in two brands: Romeo y Julieta Pirámides Añejados (52 ring gauge x 156 mm long) and Montecristo Churchills Añejados (47 ring gauge x 178 mm long) followed by Partagás Coronas Gordas Añejados(46 ring gauge x 143 mm length) and Hoyo de Monterrey Hermosos Nº4 (48 ring gauge x 127 mm length) in 2016. H. Upmann Robustos Añejados is presented as a Special Edition in limited quantitieswhich make them unique. 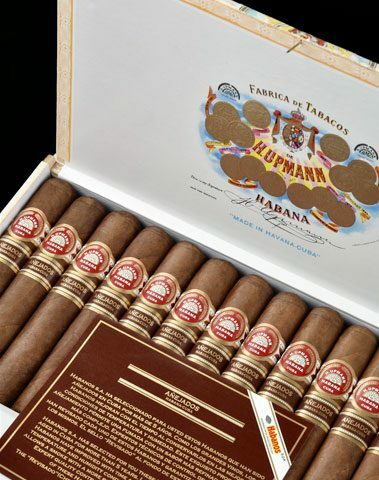 The Habanos have undergone an ageing process of between 5 and 8 years. Through the ageing process the cigars have become rounder and mellower to the palate, getting touches of wood taste thanks to the years of rest with the cedar protecting it. 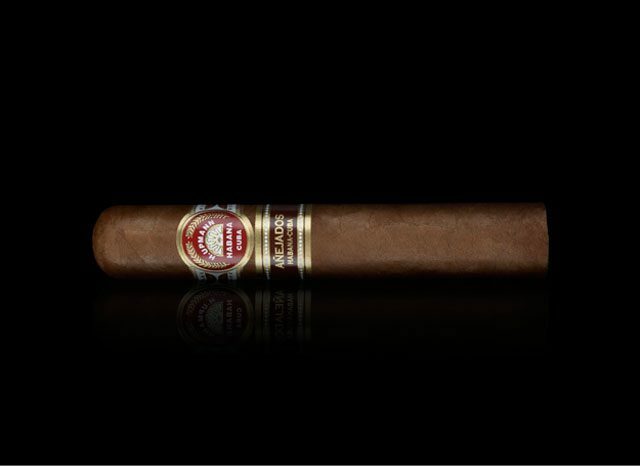 H. Upmann Robustos Añejados does not exist in the standard portfolio of the brand. Only used as 2012 Edición Limitada and when it was launched in a Travel humidor exclusively designed for Duty Free and Travel Retail Channels, with a great acceptance. The Robustos size is highly appreciated by Habanos smokers. On this occasion, it is an offer for those who like thick ring gauges and light to medium flavour Habanos and have the opportunity to taste this aged Habano which will be at the market with a limited availability. Habanos Añejados are commercialized in their original boxes, which remained unlabeled during the entire ageing process and that have been dressed with the corresponding labelling of each brand to be introduced to the market. 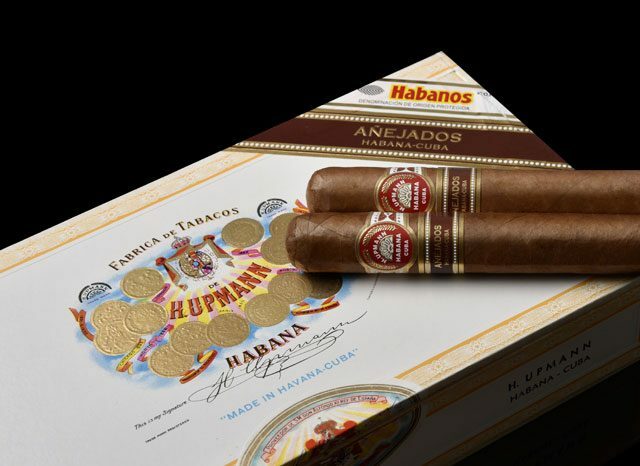 These Habanos are presented in labelled boxes, with double ring, external stick with the legend “Añejados” and with a vitolina describing the concept. On the bottom of the box the date when the Habanos were made can be verified. “Revisado” (Checked) is also stamped on the bottom of the box, since 100% of the boxes have been opened and all the cigars have been checked one by one. H. Upmann Robustos Añejados will be available at the outlets around the world in the coming weeks.